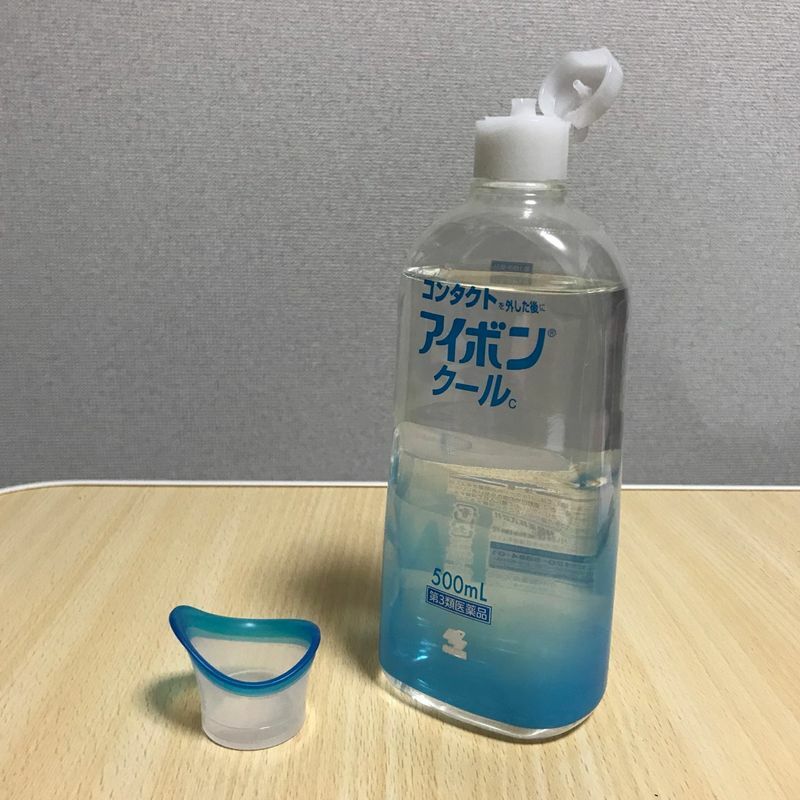 This medicated eyewash helped me relieve my irritated eyes that couldn't breathe under my contacts. 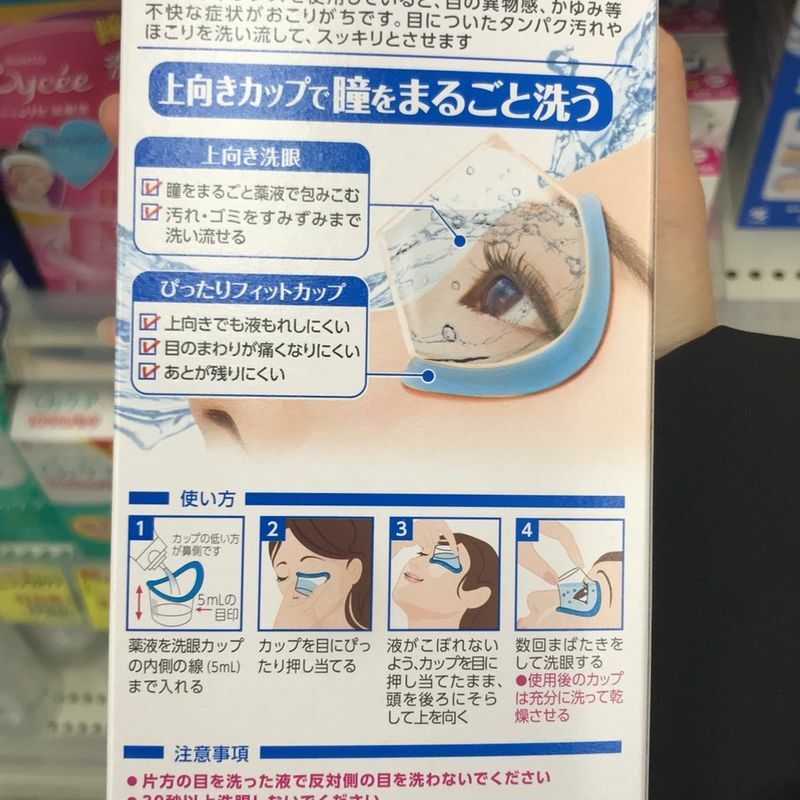 Of course, this eyewash is intended to "wash" your eyes - clean, refresh, and soothe. My eyes always feel well-lubricated after. Make sure you wait 10-15 mins before putting your contacts back on. I usually do this at night when I change into my glasses. You can purchase this from your nearest pharmacy/ drug store in the eye section? I found it alongside the contact solutions. There are many types of this "Aibon" as you can see in the picture above. I like the cool, minty refreshing feeling, so I got the "cool" one. 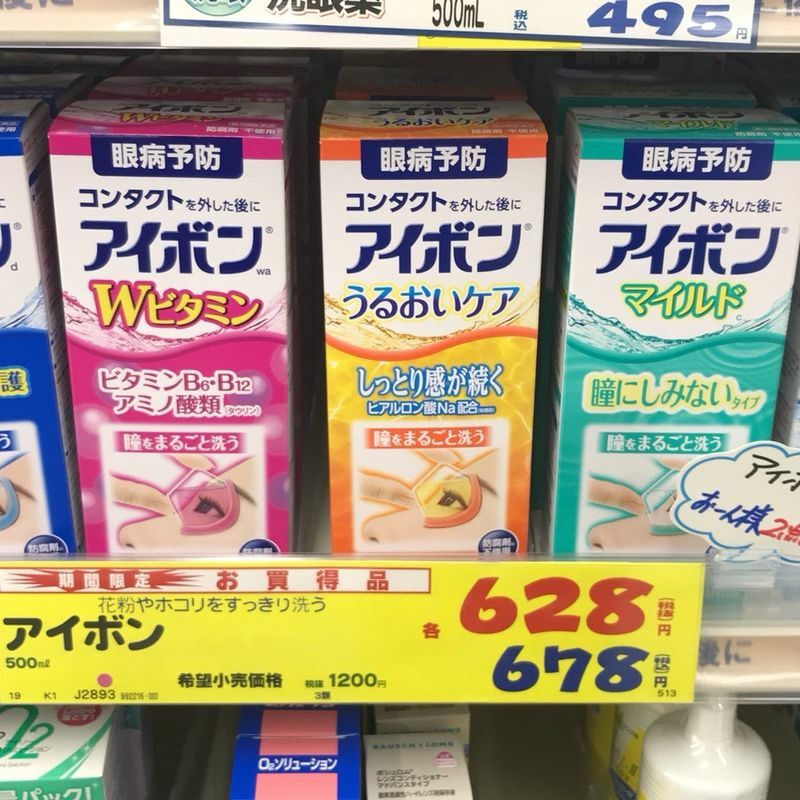 You can see the many different options, however, I believe that the Kobayashi Aibon eyewash is the most popular (you can also tell by the price I suppose). The instructions are pretty clear and simple. Firstly, you want to make sure that you have no make up on and your eyes and the eyewash cup is clean. You pour the liquid into the little cup until it hits the 5mL line, and then cup it to your eyes. The blue plastic on the cup serves as a little suction so the liquid doesn't seep down your face. Make sure that the long side of the cup is on the outer part of your eyes, closer to your ears vs your nose. The cup should fit nicely. I like to blink my eyes and move them from left to right, up to down. Make sure not to use it for more than 30-seconds. After I'm done, I look at all the little dust particles and other junk that came out of my eye into the liquid. It is pretty neat to see how "dirty" your eyes can be. I rinse the cup with water and repeat the same step for the other eye. One thing to be cautious of is that this is a pharmaceutical eye wash. Make sure you are not under treatment or to see a doctor first before using. 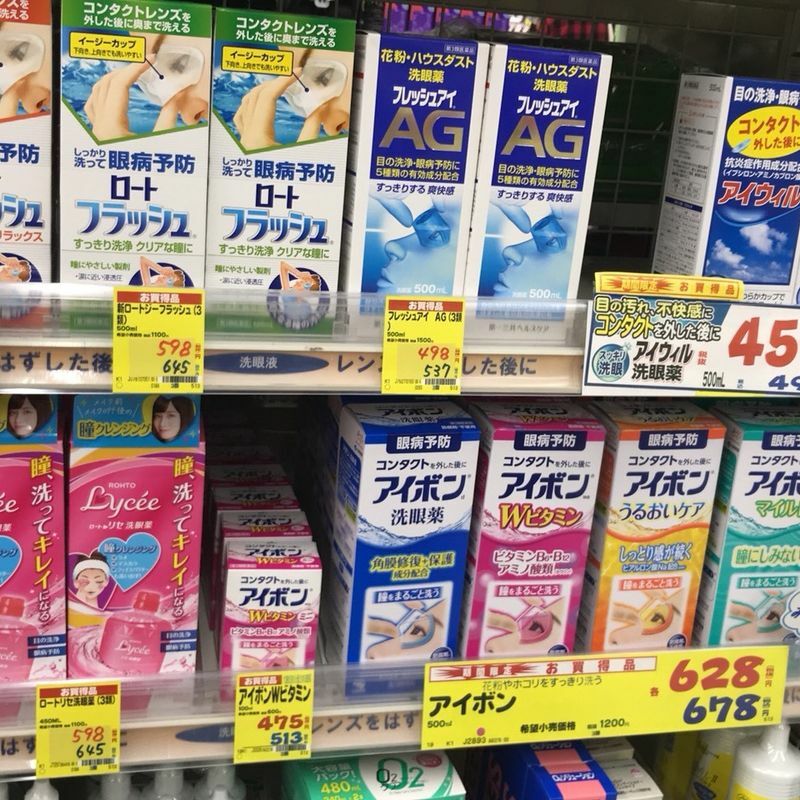 I was researching that there is Aminocaproic acid in it's ingredients, which is a drug used to treat excessive bleeding. Nonetheless, before trying, maybe consult with a doctor first, as any other drug. 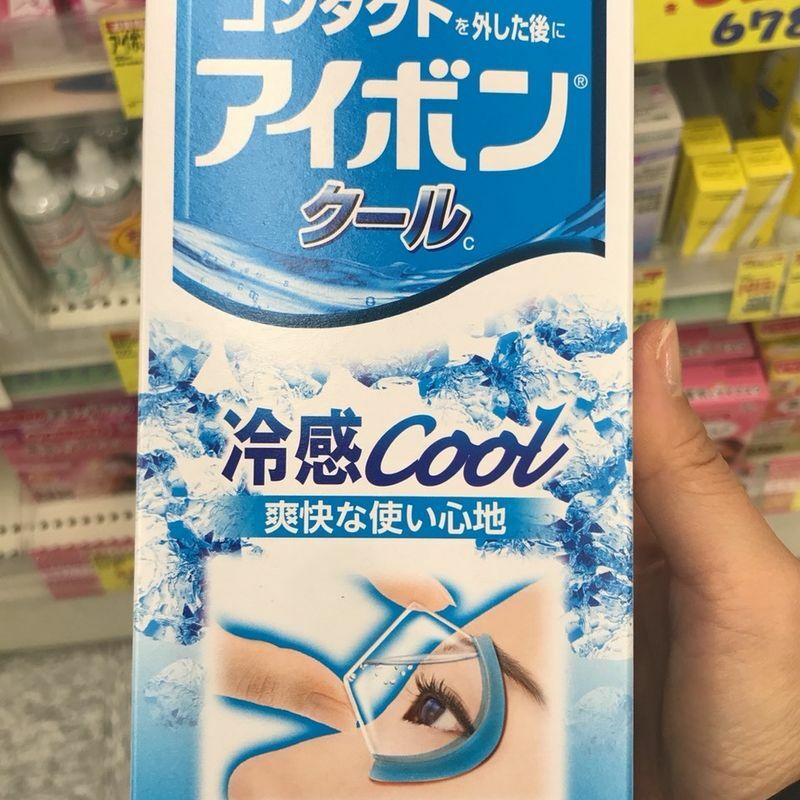 I do enjoy using this eyewash (when I actually take out my contacts), and my eyes always feel refreshed!